The Lusitano horse is one that turns heads wherever he goes. Distinctly Spanish in appearance, the size and carriage is unmistakable. They are the horse that embodies most little girls dreams. They are the unicorn on every horse owners bucket list. While this article isn’t comprehensive, we hope it provides you with enough information to spur further interest in the breed! The Lusitanos history is a long and glorious one. Originally from Portugal, the Lusitano horse was bred for war. Their gentle nature, trainability and bravery made them perfectly suited to this discipline. War horses were, of course, the original dressage horses. A war horse had to be not only brave but agile. He needed to respond immediately to his riders commands and maneuver well in tight quarters. Famous for being able to perform difficult maneuvers like the levade and the capriole. Initially trained in hand, this “high school” level maneuver made a horse very valuable to commanders. The capriole specifically gave the commanding soldier the ability to see over the ensuing battle. These maneuvers require great strength, and the Lusitano was well adapted to them. I’ll be the first to say I absolutely, in no way, condone bullfighting but it still has it’s place in the history of the Lusitano breed. Whether in times of peace or for diversion from the battlefield, bullfighting was a common diversion in Portugal. In the bullfighting ring the Lusitano was able to demonstrate for the public its agility and skill. While the ring is large and round, the horse has to be brave enough to face a charging bull and respond immediately to his riders command to turn or pivot out of the way. The modern day Lusitano continues to excel in the sport of classical dressage where they are most commonly noticed. Outside of the dressage ring, you can also find them competing in driving, eventing and bullfighting. They also make excellent pleasure mounts for the hobby rider. I’ve personally known more than one that was an excellent trail horse. The United States Equestrian Foundation (USEF) has a section of score sheets devoted specifically to the Andalusian and Lusitano horse. 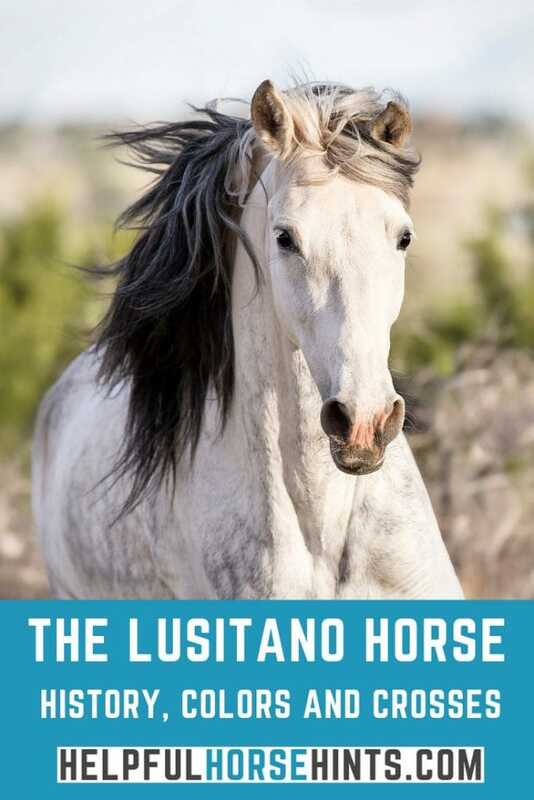 For those that want to delve deeper into the Lusitano as a show horse, a quick browse through these can give you an idea of how Lusitano horses are scored in competition. As you watch major movies and even some TV shows, keep an eye out for the horses. Especially so for movies set in Medieval time periods. You are sure to spot a Lusitano or Andalusian. Commonly the movies will use gray, bay or black horses. I have spotted spanish horses recently in my favorite show, Game of Thrones. Pay particular attention the the gray horses, they are the easiest to spot and I’m sure at least a few are Lusitanos. The Lusitano and the Andalusian horse shared the same registry (studbook) until 1966 when the Spanish descended horses remained andalusians and the Portuguese adopted the name Lusitano. The actual separation of the two breeds is a little more complicated than the scope of this article because it had more to do with ancient lineages of horses than physical location. I’m sure there are some great historians of the iberian horses that would be upset if I didn’t give that caveat! ANCCE is still the leading registry for purebred spanish horses. ANCCE stands for “Asociación Nacional de Criadores de Caballos de Pura Raza Española”. You may recognize that last bit. Pura Raza Española is where we get the term “PRE”. There are other registration organizations but ANCCE is the one officially recognized by Spain. In the United States, we have a few different registration organizations. The International Andalusian & Lusitano Horse Association(IALHA) is the most commonly known. While I’ve known some Andalusian and Lusitano horses, the reason the Lusitano is by far my favorite is because of the rainbow of colors the breed has to offer. With the Andalusian, horses are primarily black, bay or gray…and yes the occasional chestnut (I’ve met one he was cool). There are a handful of colors purebred lusitano horses do not come in. If you see a spanish looking horse the owner claims is a Lusitano in any of these colors, it is 99.9% surely a cross. The Lusitano horse has a much desired spanish, baroque look but Lusitano mares are expensive. Their conformation, temperament and agility make them a great cross for most breeds. Commonly, the Lusitano stallions are crossed with mares of other breeds. Since a PRE Lusitano mare can only have one foal per year, she is typically too valuable to cross with a non-PRE stallion but the cross can happen either way. Here are some common crosses for Lusitanos. 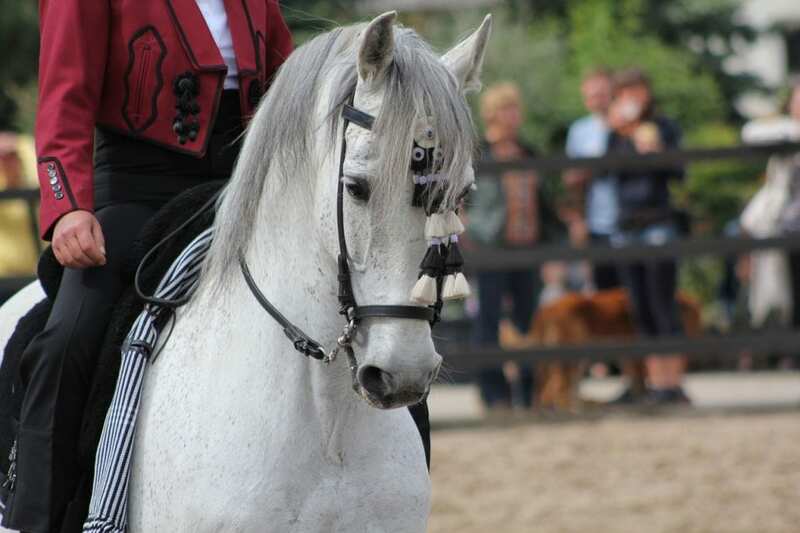 Crossing a Lusitano horse with a purebred Friesian results in a “Warlander”. The resulting cross typically takes on the best from both sides. With this cross, most foals are going to be black based because of the Friesian parent however it is, extremely rarely, possible for the resulting foal to be a chestnut. In the United States, a very common crossing for Lusitano horses is the stock horse. Specifically, crossing a Lusitano with a registered American Quarter Horse or a registered American Paint Horse. All colors and markings for the resulting foal are permissible. The American Azteca Horse International Association has three four different classifications of Azteca based on blood percentages of each breed. Their breeding chart is a guideline for Azteca breeders to ensure resulting offspring maintains a desired level of iberian blood. The Iberian Warmblood is basically any Lusitano horse crossed with any other light breed horse. The resulting foal is always called an Iberian Warmblood. Because any light breed can be used in the cross, the Iberian Warmblood can be any coat color. I have seen Lusitanos start at $5,000 and go up from there. Of course, you can find them cheaper and for one that is trained to ride, you could easily be looking at $20,000 or more. Don’t let that discourage you. If your dream horse is a Lusitano, look hard and you’ll probably find one. You may have to buy a baby, or an aged been there done that gelding, but if you save your money you should be able to find one. If you are in the market now but can’t find a Lusitano in your budget, consider a cross. I would love a Warlander personally! Talk about the best of both worlds, Lusitano style with Friesian leg feathers! 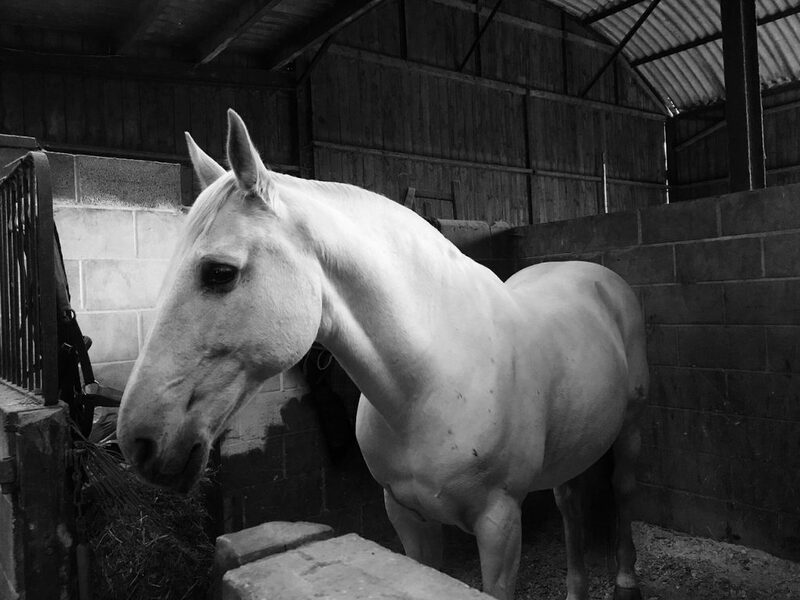 Lusitano horses come up easily on horse search sites like DreamHorse and EquineNow. Lusitano breeders are equally easy to find with a simple Google search. Keep in mind that because of the breeds popularity, breeders are very frequently contact for information from individuals who aren’t serious. As a courtesy, when contacting a breeder, I recommend you have a specific purpose when calling. The great thing about breeders is most love the breed, love their horses and are willing to help you learn and give you the information you need.